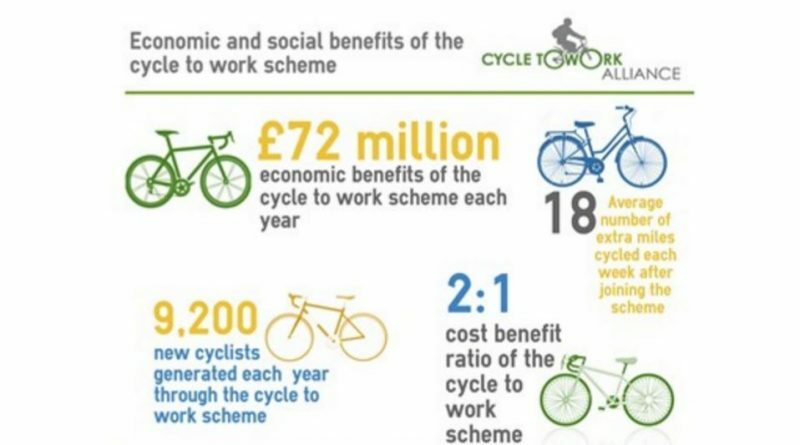 The Institute of Employment Studies has concluded in a new report on the cycle to work scheme that the economy benefits to the tune of £72 million from the tax-break. Stemming from health benefits for employees, among other things, the figure amounts to more than double the cost to the Treasury in lost revenue and National Insurance payments. Environmental benefits were not included in the calculations. Despite the significant benefits of the scheme, this report comes at a time of relative unease among participating retailers. Following the UK’s largest scheme proposing some commission increases, many UK retailers are questioning whether they’ll sign new contracts. The Association of Cycle Traders has backed its members call for Cyclescheme to justify the cost increase at a time when frontline stores are fighting to retain their margins. At the time of writing the increase is set to go ahead. Beyond the stores, the scheme is still widely appreciated by the end-user, with 9,200 new cyclists generated every year via cycle to work vouchers. More cyclists equals more customers, something which trade veterans believe is something we should all be campaigning for. On health benefits, the study concludes that users of the scheme cycle 18 miles more than they would have done prior to signing up, resulting in 30 minutes more physical activity per day. The knock on effect of that, says the study, is a reduced incidence of diabetes, coronary heart disease and other inactivity related conditions. 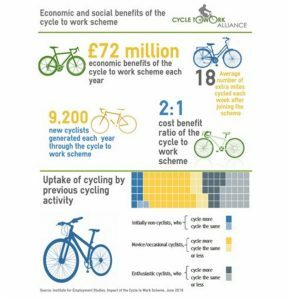 Steve Edgell, Chair of the Cycle to Work Alliance and Director of Cycle Solutions said: “This study has considered a huge range of evidence, all of which highlights the immense £72 million in benefits that cycling to work offers the economy. 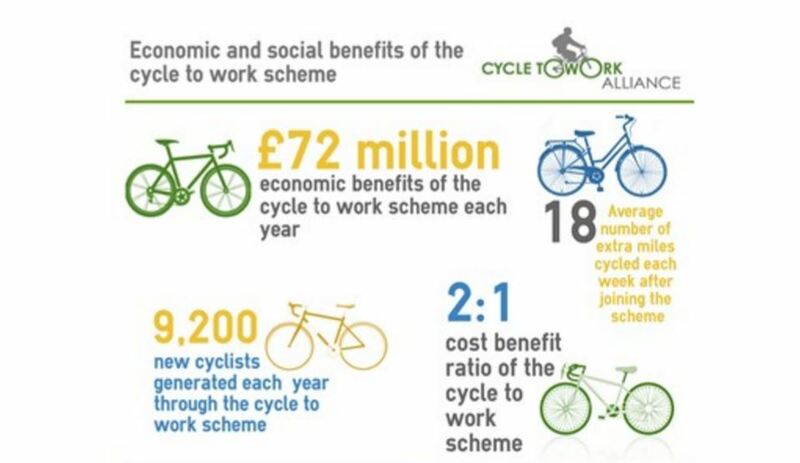 In particular, the social and economic benefits resulting from the cycle to work scheme make a compelling case for employers and government alike to throw their support behind the scheme. As it stands, the Government’s strategy may need some work if it is to achieve any meaningful change on the streets. 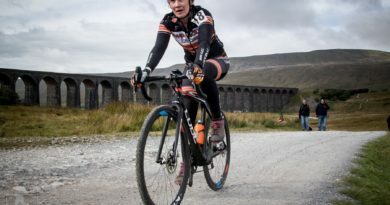 Back in February CyclingIndustry.News interviewed Cyclescheme’s commercial director Stephen Holt who advocated that retailers maximise the benefits of the scheme by selling parts and accessories, as well as complete bikes. 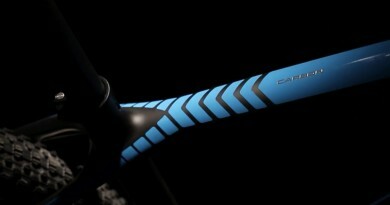 ← Jon Iriberri: Challenging bikefitting’s central principle – should both the bike and the customer adapt?